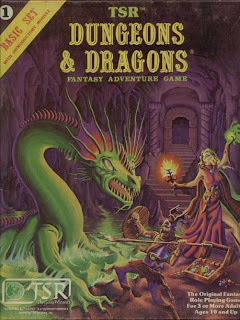 My first set of non-standard (read as: not just six-sided) polyhedral dice came in my Moldvay Basic Dungeons & Dragons set in 1981. 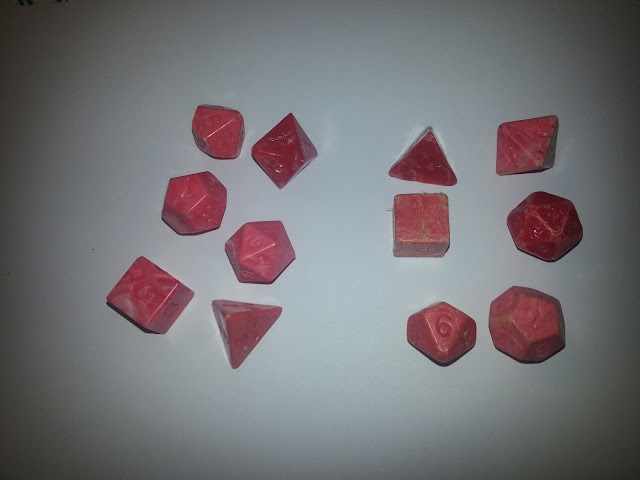 I didn't know it at the time, but these were apparently uncommon colors for the TSR dice: they were a combination of solid red dice and pink-and-white marbled dice. 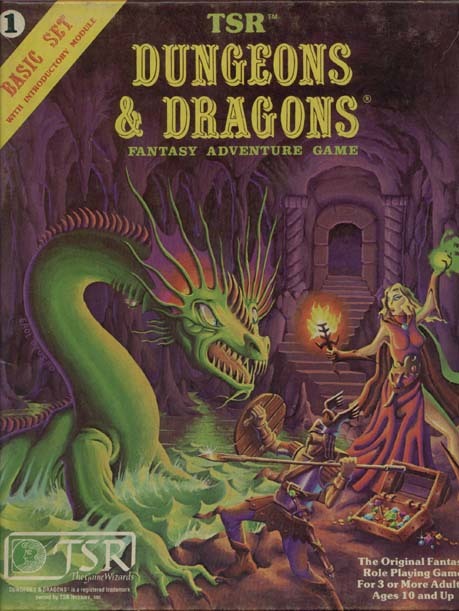 So I never really felt at much of a loss over my D&D dice - until the last several years. Finally, last year, I found a Moldvay boxed set on eBay with a set of dice that was almost exactly like mine - they were all marbled, unlike my mixed set of solid and marbled dice. But having spent so long looking for a set even close to mine - with no luck whatsoever - I barely hesitated to pay the rather hefty price for the boxed set. I've now mostly replaced my original set of dice, and that makes me happy. I love these dice, also called "mud dice", and it is all I use if I can. They are hard to get a hold of now though. 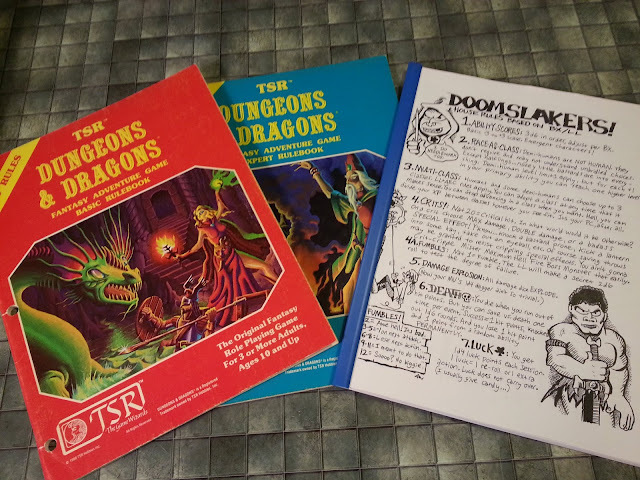 @adeptgamer: That's interesting - I always thought "mud dice" was a specific reference to the beige versions of the old TSR dice. Thanks!